We all love embroidery and the creativity it can inspire come be inspired during the 301 class! You'll explore many different embroidery techniques such as how we get the timeless look of heirloom stitching with the convenience of modern machines. Free standing lace fabric coloring are just a few other subjects we'll explore during the Nest Level Embroidery: 301 class. 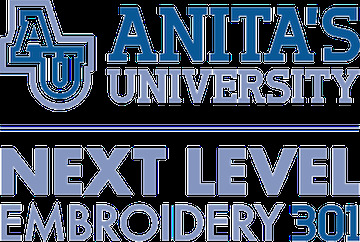 You'll learn how we do reverse applique & ghost stitching, reverse trapunto, dimensional embroidery, and sew much more!